Lucy tries to fool Mr. Mooney into advancing her money for a new refrigerator by sabotaging the one she has. Her scheme backfires when he finds her real need for the money. Lucy really needs the money for a a new leopard fur coat from Felix Franco, the friendly furrier, that is on sale. Lucy is desperate to raise the needed cash. Lucy's pal Joan and her stuntman boyfriend visit and he hurts his back. 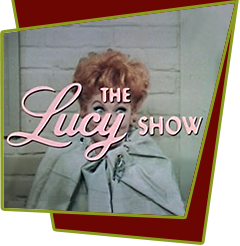 Joan convinces Lucy to take his place on a movie set and earn the needed money. Seeing a chance at a quick $100, Lucy reports to the set in a cowboy costume and mustache as stuntman "Iron Man Carmichael." Special Notes: This is the first of the "Iron Man Carmichael" episodes. This is the last episode Joan Blondell appears in due to an 'altercation with explicatives' directed at Lucille over her comedy acting experience.